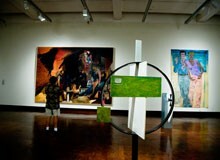 Hawai‘i’s visual arts scene is as vibrant as its landscape and diverse mix of people. The Islands’ breathtaking beauty is a natural source of inspiration and is a gateway to the arts scene in Asia, the Pacific and the U.S. Mainland. 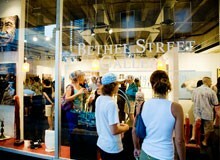 From museums to urban art, Hawaii is home to nationally and internationally recognized artists. One of its main community projects is The ARTS at Marks Garage. It’s a creative incubator for artists and small arts groups, to nurture their creative work. 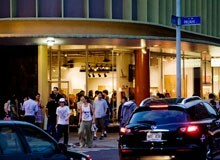 The collaborative gallery, performance and office space, aims to transform downtown Honolulu through the power of the arts. 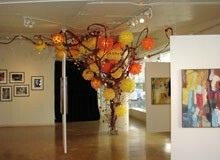 The ARTS at Marks Garage is at the center of an urban revitalization movement in the Downtown/Chinatown area.